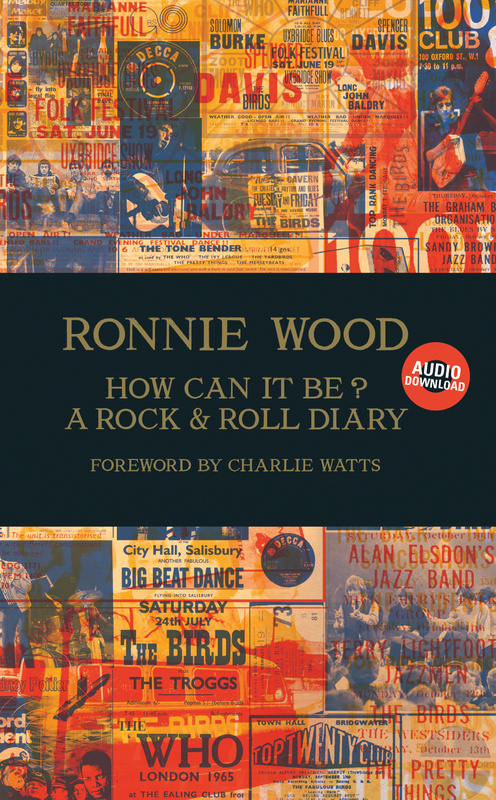 Ronnie Wood reflects on the words he wrote 50 years ago and shares his memories in an extensive new manuscript of over 12,000 words. The 1965 handwritten diary has been produced in facsimile, down to its scuffs and scratches. Ronnie Wood has created a series of original and exclusive artworks to illustrate his words throughout the book, along with rare and unseen photographs and ephemera. Wood discusses memories of the Birds, The Jeff Beck Group, the Faces and the Rolling Stones, recounting stories of the breakups, breakdowns, cars and guitars that began his journey to super-stardom. How Can It Be? features an introduction by Charlie Watts of the Rolling Stones and an end-note from Ali MacKenzie of The Birds.